You have 70 licensed Maryland Wineries to choose from. There are several close to MD and many within an easy drive. So, sit back, enjoy the wines, and leave the driving up to us. 1. 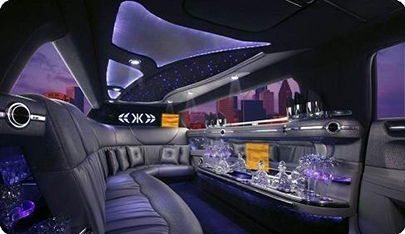 Travel in style with our elegant limousine. Relax in the supple leather seats as you listen to some cool music on the magnificent sound system. On the way, you can watch wine movies such as Bottleshock, Somm, or Sideways on the flat screen TV. In addition, if you feel the tastings to be not enough, a bar area that has an elegant stemware awaits. 2. Enjoy safe, classy and comfortable rides with our polite and courteous drivers. Your driver will be professionally dressed, well trained, courteous, and polite. The driver knows the area very well and can effortlessly get you to various destinations. Drinking and driving should be your last worry, because the driver is always available to safely take you to your destination. 3. Our main aim to satisfy your needs. It does not matter whether there are just the two of you or a large group going to the wineries. We have a wide variety of vehicles that can accommodate any kind of need. You can even make a weekend of it and make a grand tour of wineries. Fill out the form above and to the right for wine limo tour. Click on the button, which says "Give me my FREE Quote.” Alternatively, you can get in touch with us through 410-505-8386.